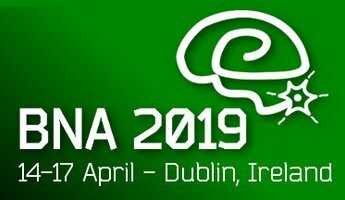 The British Neuroscience Association (BNA) is hosting the BNA2019 Festival of Neuroscience in Dublin this April– the first time that this prestigious event has ever taken place outside of the UK. 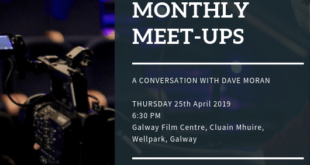 One event of the festival will take place in Galway and this is the Brain Movie Night which is happening at An Palás in the city on Thursday April 11th from 6pm to 9pm. 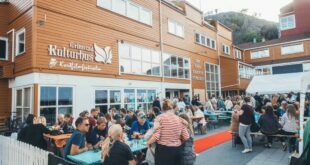 Two documentaries, ‘Feats of Modest Valour’ and ‘A Tiny Spark’, which were made as part of the Science on Screen initiative, will screen followed by a reception. Science on Screen is run by CÚRAM and Galway Film Centre and these two films look at different aspects of research in neuroscience which are taking place at NUI Galway. ‘Feats of Modest Valour’, directed by Mia Mullarkey and Alice McDowell of Ishka Films was produced in 2016 and introduces us to Tom, Milena and Brian who have Parkinson’s Disease and also to researchers led by Dr Eilis Dowd, who are working on the BrainMatTrain project which aims to halt or even cure this disease. This film has screened throughout the world and has won multiple international awards. ‘A Tiny Spark’, directed by Niamh Heery and produced by Caroline Kealy of Swansong Films, is the newest output of the Science on Screen programme and was produced in 2018. In the film, we meet Rebecca, Trevor and Helen, who have each suffered strokes, and we meet the research team, led by Dr Karen Doyle, who are conducting a study – the first of its kind in the world – to examine the components of blood clots. 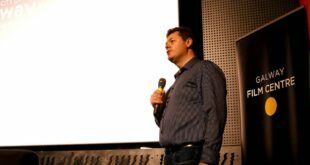 At this film’s premiere last year, a lively Q & A took place afterwards raising many issues around stroke and its treatment in Ireland. This free event is organised by Neuroscience Ireland, Ireland’s Official Neuroscience Society, and is supported by the Galway Neuroscience Centre, CÚRAM Centre for Research In Medical Devices, Cerenovus and Science Foundation Ireland.